When I was trying to figure out a name for this gift guide, nothing really flowed off the tongue. The best way to describe these items are things I've purchased that I think are great gifts for people! There's definitely something for everyone - from a beauty lover, to your mom to a friend! This post contains affiliate links. Purchasing through them help support this website. I purchased this Lashstash from Sephora during the VIB sale and the value for what you get is incredible. 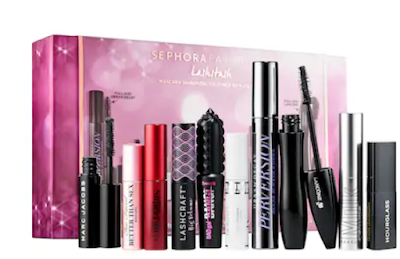 Not only do you get two full size mascaras, you get one lash primer and 7 mini mascaras! Each one does something different for your lashes and I've loved experimenting with all of them. These Jade Rollers would make a great stocking stuffer not only because of their price, but their a little fun gift to get for the beauty lover in your life. I use mine every day because life with a baby is no joke. I pop it in the fridge every day so that when I use it in the mornings it also has the same effect as an ice roller! 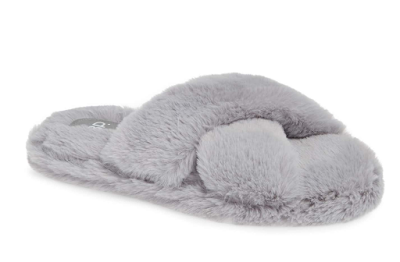 Slippers are one of the best gifts for the holidays because nothing says cozy like fuzzy slippers! I have a similar pair and there are few things as great as slipping them on as soon as I get home! 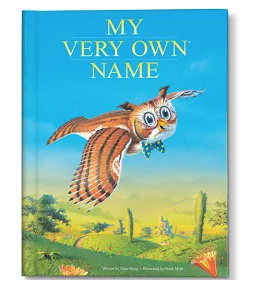 When Sophia was born, a friend of mine sent us the "my very own name book" and it is so special to know that there is no one else out there with this same book! It's perfect for anyone that has recently had a baby or for a child that's learning to read! These live in leggings were probably my favorite purchase from the Nordstrom Sale this year. I wore them practically every day of my maternity leave and haven't stopped! I ordered them in a couple of colors and they're a great gift for literally any woman on your list! 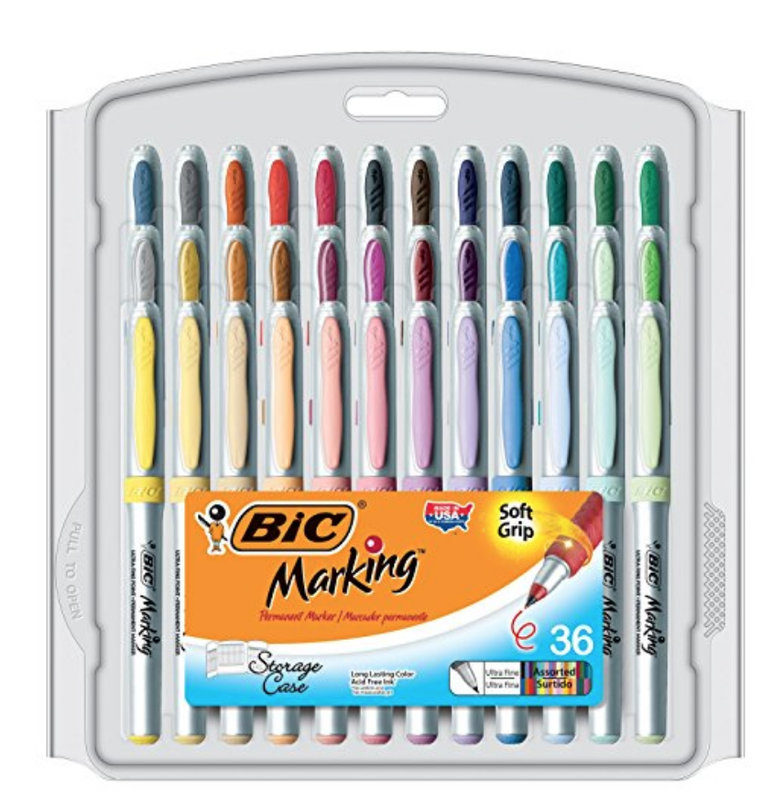 Both of my nieces love pens as much as I do and I recently discovered the BIC ultra fine point pens permanent markers - that I just had to have in every single color! 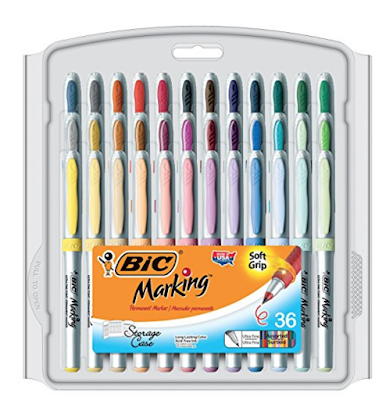 I think anyone that loves to draw, color or write would love these pens! I went to a cashmere pop up a few weeks ago and picked up a lot of gifts for people, including myself! I've always wanted a pair of cashmere gloves and I've already worn them a few times because the weather dipped here - they seriously kept my hands so warm! I also think of them as a very luxe gift! If you have a bag lover on your list then this Top Shop hobo bag is a must! I wear mine every day to work and it's so roomy! 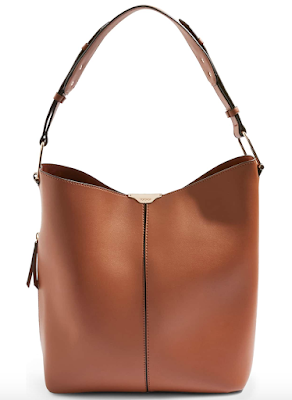 It's a beautiful cognac color and has a great side zipper pocket that I keep my phone in so I'm never fishing for it! 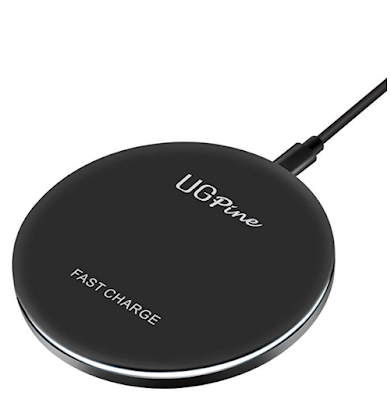 One of the best tech purchases I made this year was a wireless charging pad. I have mine at work, but Gary keeps his on the nightstand. It's so nice to not have to worry about having to mess with any cords and it charges my phone crazy fast! Are there any purchases you made this year that would make great gifts for someone on your list? I agree that the Zella leggings are an awesome gift! I love wearing mine! I REALLY need to get myself a jade roller--I feel like it would help with all the redness in my skin! So many great gift picks! Happy Wednesday!! A friend gave us the same book for Olivia and it's such a cute idea! Adding that wireless charger to my list. I hate all the cords and that would make things so much easier!! I love gifting the children's books with their names part of the story! They are a great idea for kids. I also have to try those leggings, adding those to my wishlist! Happy Wednesday girlfriend! 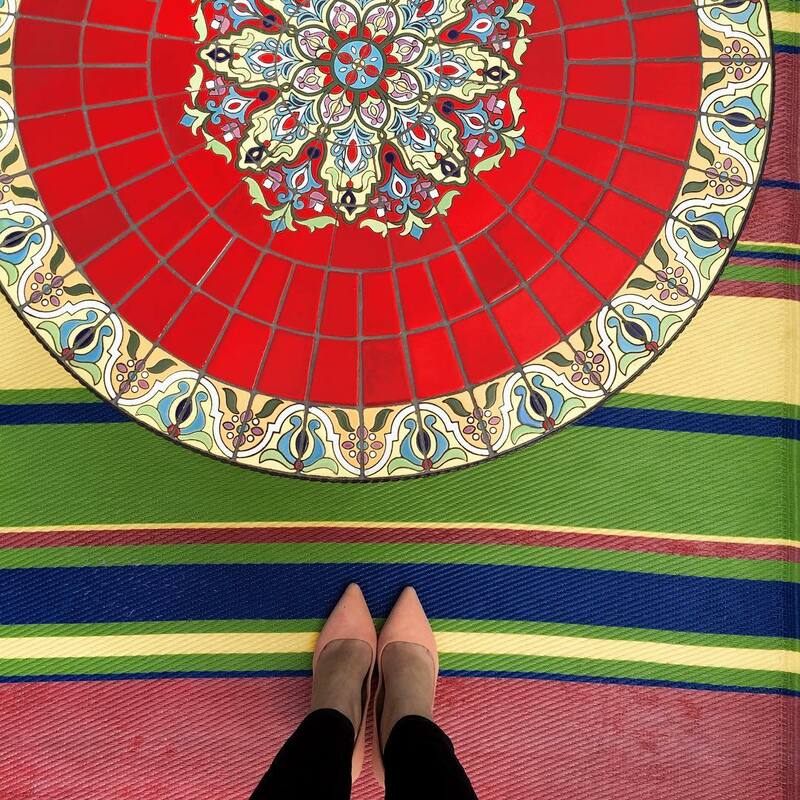 I am loving my Jade roller and should definitely get some as gifts, great slippers too! Happy Wednesday! I keep meaning to get a wireless charging pad, so this is a good reminder. and topshop - that bag is so cute. I love their stuff + price points. all of it is great! Those gloves are super cute. 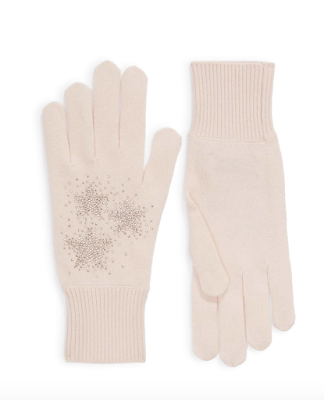 I love cashmere gloves but I don't think I've found the right ones... because the ones I had did not keep my hands warm, LOL... which doesn't really make any sense at all. I wish I had picked up those leggings during the sale. I just realized that J Crew isn't making my favorite leggings the same way and I'm worried that the replacements aren't going to be as good. Jade Rollers are one product that has always intrigued me, I think it's time to get one! I want one of those jade rollers SO BAD! I need to pick those pens up for Avery and a charging pad for EVERYONE! 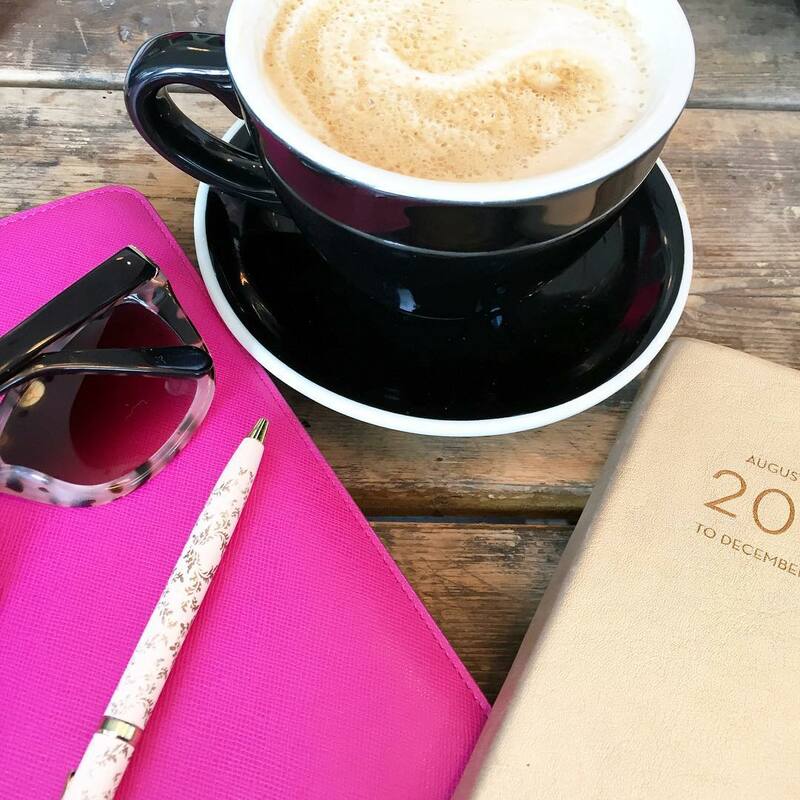 Great list girlie! I have really wanted to try a roller like that - think that is going on my wishlist! I've been eyeing that jade roller since you first mentioned it, and I think I may buy one for my mother and sisters this year, as the adults tend to exchange smaller gifts! Such fun ideas all around! 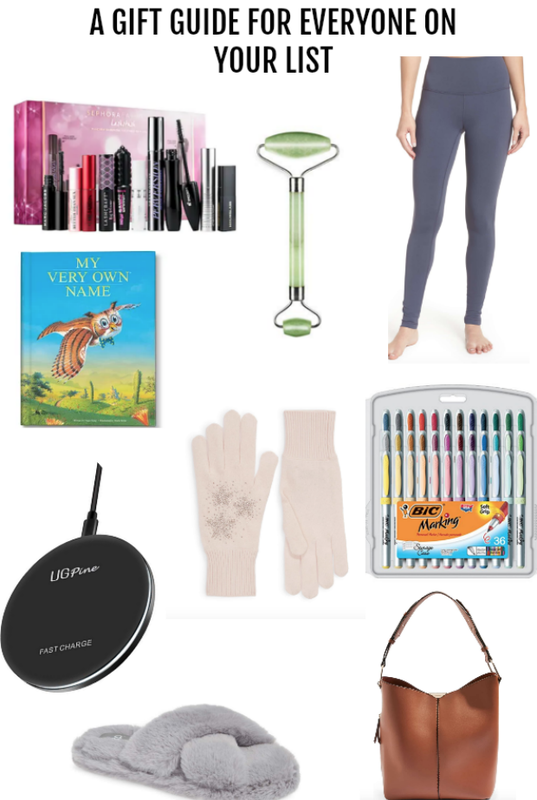 I live in leggings so those def interest me the most but that charging pad is a great idea! I also need new slippers! Those live-in leggings are pretty much the best thing ever. Literally every woman should have them!! Definitely adding a jade roller to my list, and you can't go wrong with a great pair of slippers! I love those cozy slippers!! And I've been thinking about getting a wireless charger- does it work with a case/pop socket? thank you for sharing! Love the charging pad and I LOVE the pens too! Those pins look like lots of fun. Thanks for the great gift guide! This gift guide is so perfect! I have actually been wanting to try a jade roller and I don't think you can ever go wrong with a mascara set! I want that jade roller and that bag. So pretty!!! Those are some good picks, Biana! Love the idea of that personalized name book. So sweet. That jade roller sounds great.. I have been thinking of getting one. Such a great gift guide! Those slippers look so cozy! I need that charging pad in my life as well as those cashmere gloves!!! That mascara set if perfect for the coworker I pulled for Secret Santa! These are all great finds! Those leggings look super comfy! and those pens look fun too! That bag is fabulous! I loved in my Zella leggings after having Zoe too and will always have at least one pair in my rotation now! So comfy! Cute picks dear. And yes, Jade Rollers are excellent gift items for this year! 2-3 Month Favorites and a 5 Year Giveaway!